Zmuda has authored nine books, including The Competent Classroom, Transforming Schools, and Breaking Free from Myths About Teaching and Learning. Her book Learning Personalized led to her form a website for educators looking to grow in and around personalized learning. Before she transitioned to consulting full time, Zmuda was a public high school teacher. It was her students who inspired her to write her first book. 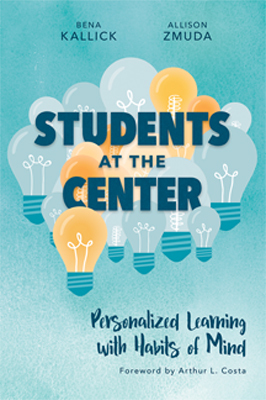 Based on their exciting work in the field, Bena Kallick and Allison Zmuda map out a transformative model of personalization that puts students at the center and asks them to employ Habits of Mind.